Sunday's major quake hit at 1:41 p.m. local time and was followed by at least 20 aftershocks, American and Turkish monitoring agencies reported. Istanbul, Turkey (CNN) -- Turkish Prime Minister Recep Tayyip Erdogan said 138 people are dead and 350 people injured in the wake of Sunday's earthquake -- the most powerful to strike the country in more than a decade. Roughly 20 aftershocks rattled the region, one of the nation's poorest. The largest had a magnitude of 6.0. Erdogan said 55 buildings collapsed in Ercis on the north shore of Lake Van, while the Turkish Red Crescent had said earlier that some 25 apartment buildings and a student dormitory collapsed in the town. 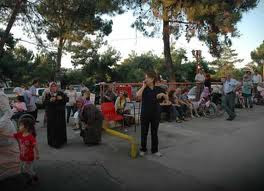 Turkey is "no stranger to having these seismic events," but Sunday's quake is considered major, CNN Meteorologist Reynolds Wolf reported. 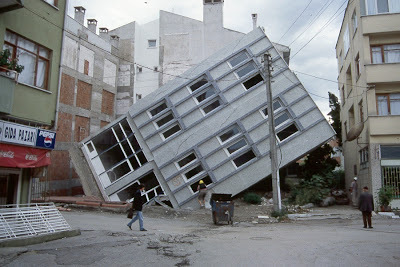 A magnitude 7.6 earthquake in Izmit, Turkey, killed more than 17,000 people in 1999, according to the USGS. A magnitude 7.2 tremor in Duzce the same year killed 894 people, the USGS reported.